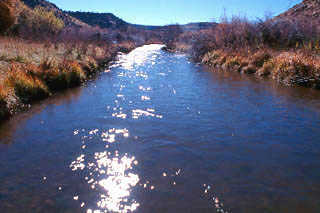 Description: Approximately 3 miles of 20-foot-wide stream with cutbanks, deeper runs, and shallow riffles. Brook trout, browns, and cutthroats averaging 14 inches are common. Location: The property is located approximately 15 miles West of Saguache in Southern Colorado.